The Real Jenn C.: Lions and Tigers and a Bear, Oh My! Lions and Tigers and a Bear, Oh My! Saturday I toured the Wildlife Rescue and Rehabilitation grounds in Kendalia, Texas with some of my fellow Bottle Baby Nursery volunteers. We saw all sorts of animals ranging from primates to raccoons to exotic birds to lions to domestic cats. 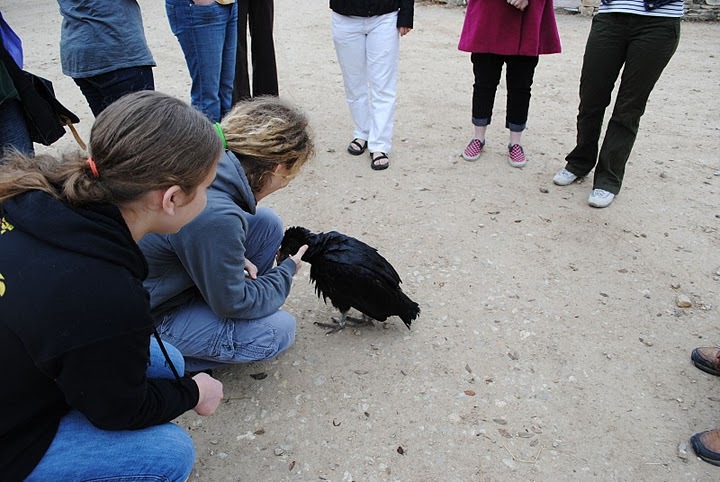 The only animals we touched were a friendly young vulture with an injured wing and a young dove who waddled after us seeking attention. 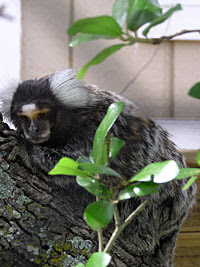 Some of the animals at the facility will be returned to their natural habitats if possible. These animals do not get names. Human interaction is kept to a minimum. 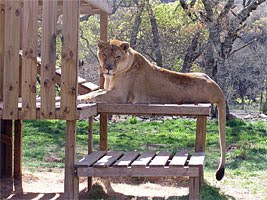 However, many of the animals are too tame, disabled or dependent to be set loose on their own, but also too large or aggressive to be pets, and will be permanent residents of the facility. To see animals treated and tended with care and respect at this sanctuary restored some of my faith in humanity. This Fennec Fox was once a pet. While this animal is achingly cute and playful, there are plenty of cats and dogs in need of homes without breeding wild animals in captivity and selling them as pets. 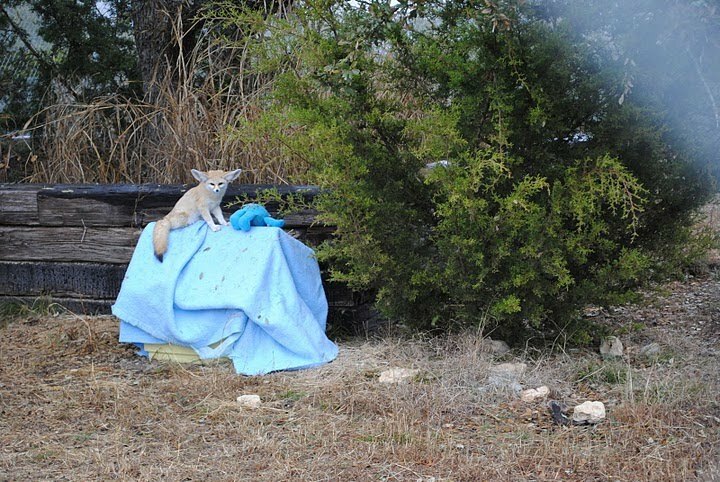 The fox was surrendered by its owner, probably because it behaved like a wild animal forced to live in a house. Just because an animal looks cuddly doesn't mean we should put a collar on it, drag it inside our house and name it. This little guy has a happy ending, living in a huge natural enclosure with meals and a heated bed provided. We also met lions that were formerly pets. The previous owner's family made him surrender the lions when it became too expensive to feed them properly. The lions came to the rescue group emaciated and sickly, but are now thriving. In my opinion, some people purchase exotic pets as status symbols and/or to make themselves seem more interesting. I find this behavior short-sighted and shallow. It's one thing to care for an injured wild animal in need of help, but I find it deplorable to buy a wild animal and expect it to act like a domesticated dog, cat or hamster. You want an exotic pet? There's a bunny rescue group in the Austin area. That's kind of different.